Care:  Can be worn at all times. Avoid wearing in Hot Tubs and Chlorinated Swimming Pools. 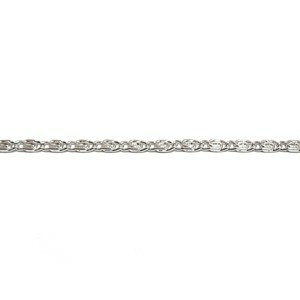 Chains have a Lifetime Warranty and are guaranteed never to lose their luster. The chains are coated in acryseal, a clear laquer, to help protect the silver layer.